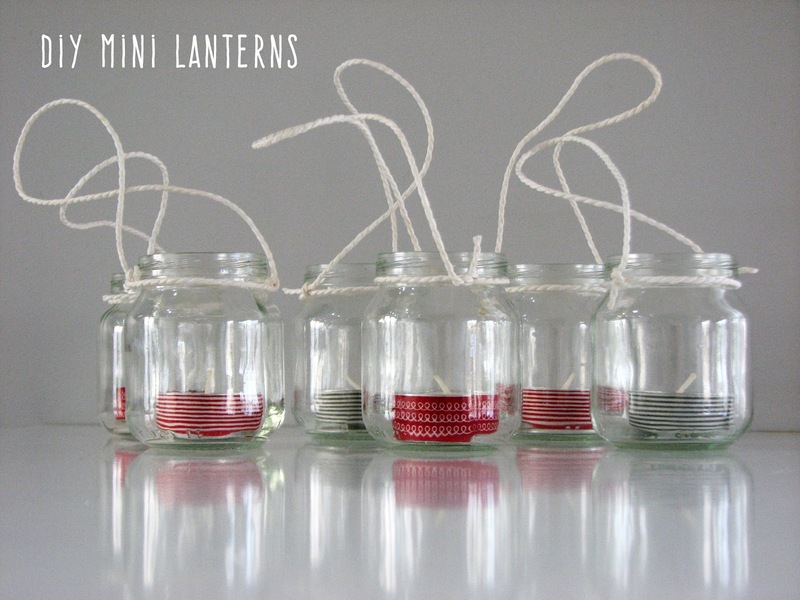 Mini jar lanterns are great idea for coming festive season, so if you want to light up your house a bit for Christmas this project is definitely for you. 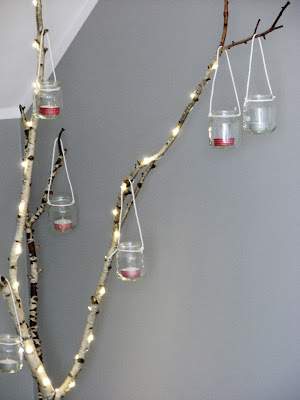 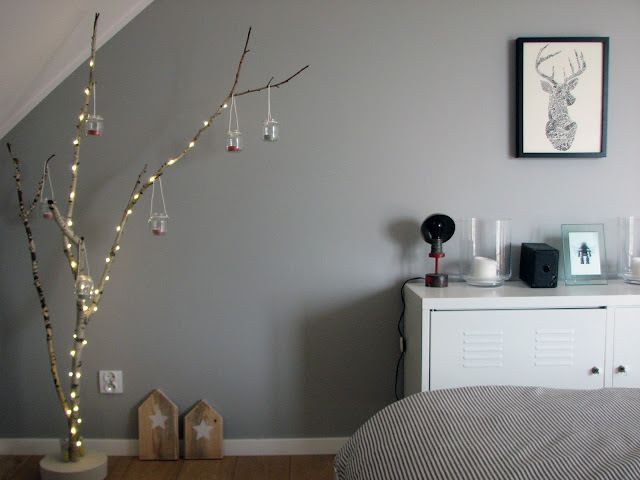 I have prepared them in two different decors and today I want to show you the first one: the mini hanging lanterns. 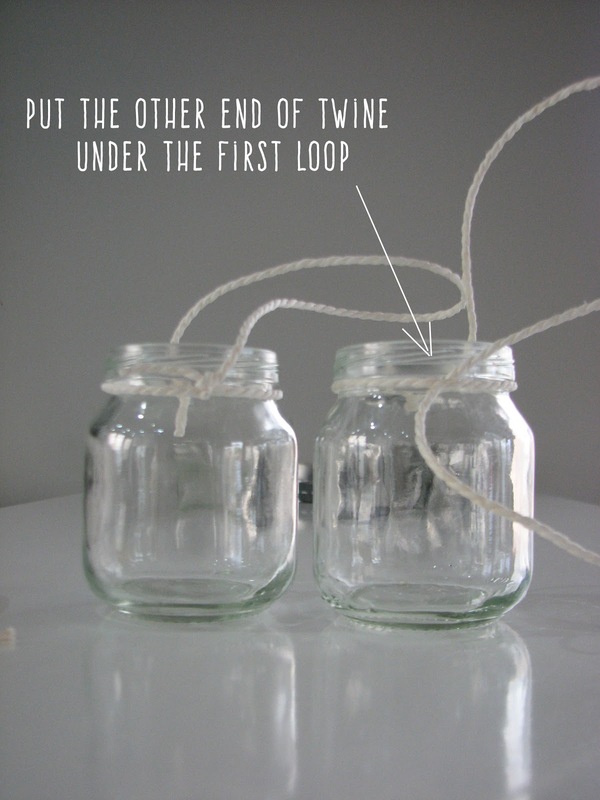 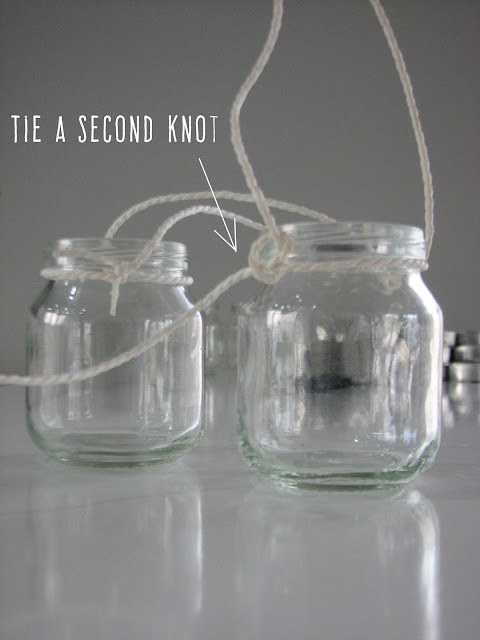 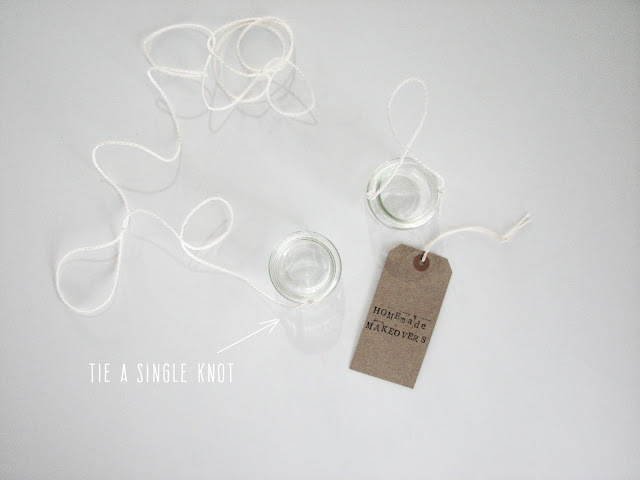 Following the pictures attach the twine around jar neck and make a loop of it. 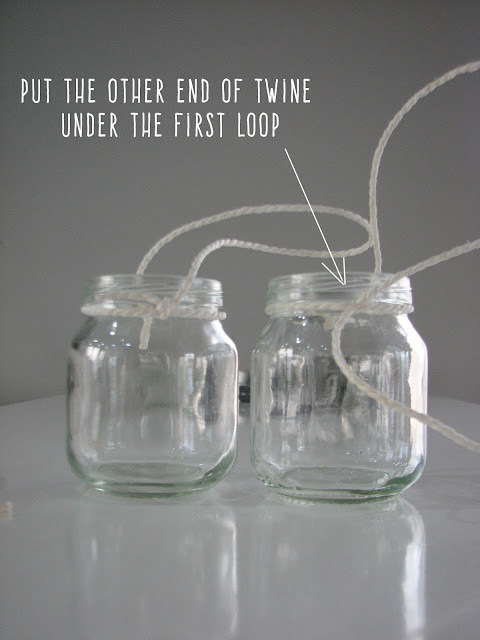 Make sure the loop isn't too short, otherwise it may get burnt when you light up your tealights. 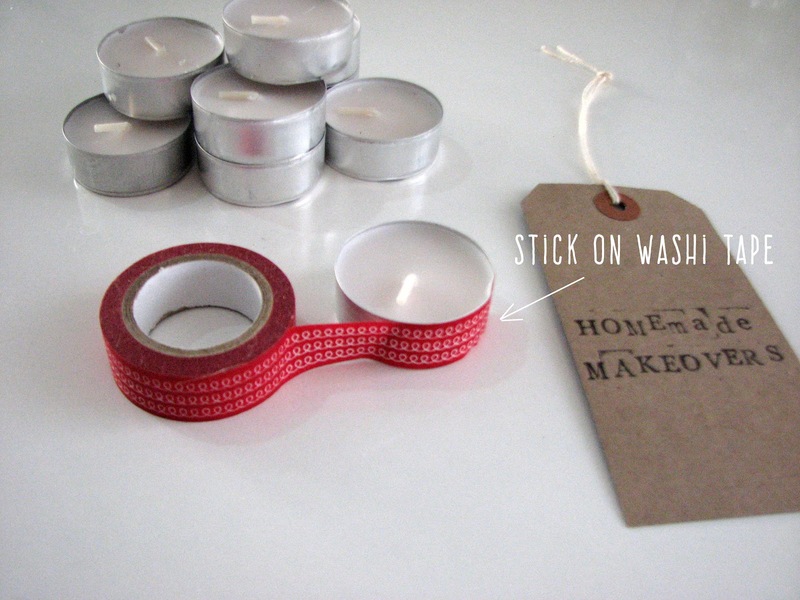 Next decorate your tealights with washi tape by sticking it around like pictured below. 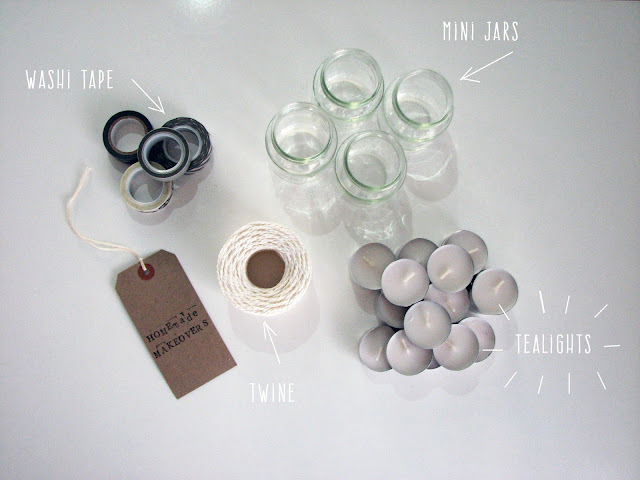 Use different types of tape decor for more fun. Put the tealights inside lanterns and hang them on a birch tree like I did or on anything else you can think of and enjoy the look of your new lanterns!